SPOILER ALERT: The below feature contains major spoilers from this week’s issue of Action Comics. Don’t scroll any lower if you still haven’t read it! There’s never been a family fight quite like what we’ve been seeing in “The Oz Effect,” the pivotal Superman storyline that wrapped up this week in ACTION COMICS #991. Since its start, we’ve learned that Mr. Oz is really Jor-El, Superman’s Kryptonian father, who didn’t actually die during the destruction of Krypton, but found himself sent to Earth where he witnessed some of mankind’s brutal tendencies firsthand. In response, under the guise of Mr. Oz, Jor-El slowly engineered a series of atrocities that have sparked violence, death and destruction the world over all in an attempt to prove to his son, Kal-El, that people are evil and unworthy of him. Most recently, Jor-El abducted Superman’s son, Jon, sharing his vision of an ideal future for Jon’s family and other super-powered individuals. It was a vision so alluring that Superboy seems to have bought into it. Aware of Oz’s attempts to sow violence and unrest throughout the world and furious that he would approach Jon, Superman finally strikes out against his father in a ferocious battle throughout Oz’s off-world fortress. 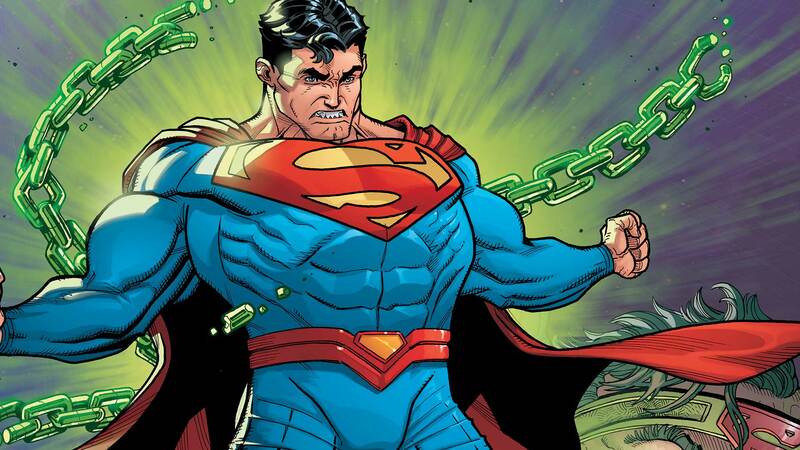 More surprises await for the Man of Steel as he learns that Jor-El has also imprisoned Doomsday within his fortress and in the most shocking twist of all, seems to have evolved in a way which not only renders him immune to kryptonite, but allows him to fire kryptonite blasts out of his scarred eye. Unable to withstand the blasts, Superman seems destined for defeat until he manages to get hold of Jor-El’s staff…which it turns out is far more than just a simple walking stick. Could Jor-El have been under something—or someone—else’s control? It sure seems like it, but whoever it is (and let’s face it, you all probably have a pretty good idea who it is by now), they’re taking him back. Superman is unable to save him, and moments after Jor-El’s disappearance, Kal-El is teleported against his will to the Fortress of Solitude. Later, reunited with his family back in Metropolis, he ponders all that’s happened. Who took Jor-El? And perhaps more problematic, is there a chance that Jor-El was right about mankind? He said that Earth was doomed. This story is far from over. Superman will ponder the “After Effects” in ACTION COMICS #992 in two weeks. But before then, look for these events and many others to be felt in the first issue of Geoff Johns and Gary Frank’s DOOMSDAY CLOCK #1. Trust us, things will never be the same.